We will be all set up at the registration area as of 6:00 a.m on Saturday the 2nd of August. 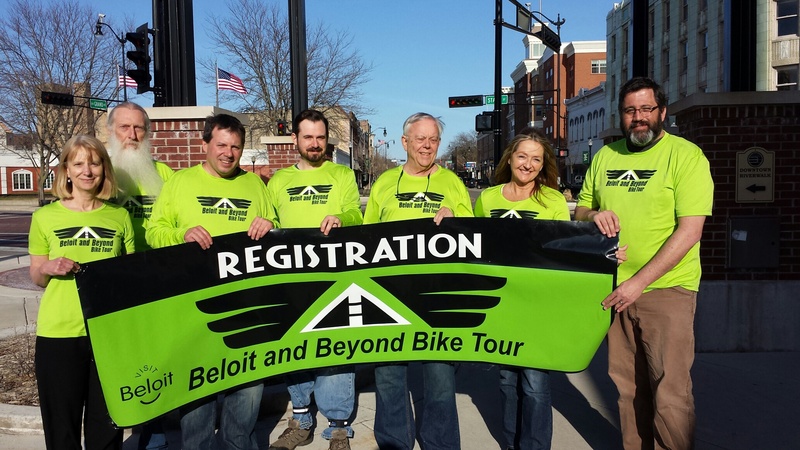 The registration area is going to be located in downtown Beloit right behind the Beloit Bicycle Company at 110 West Grand Avenue. The route will be marked on the road surface as well as with small signs and you will be given a map of the route with your cue sheets at registration on August 2nd. Yes, the ride is supported although since it is FREE, we try not to over-promise. In other words, if you have mechanical troubles, we will give you a lift to the nearest water stop where you can make arrangements for a rescue. We don’t have a mobile bike repair operation available to us, but we are working on it so stay tuned.